If you’re relocating to France, there’s some things that you’ll need to make yourself aware of before taking the leap. To help you out, we’ve created this quick guide on how to relocate to France successfully. To hear more about the convenient, affordable and reliable door-to-door luggage shipping service that My Baggage offers, read on and you could be travelling to your new home in France, luggage-free and stress-free! France is one of the biggest European countries, with incredible history, architecture and culture, making it the ideal place to relocate to. 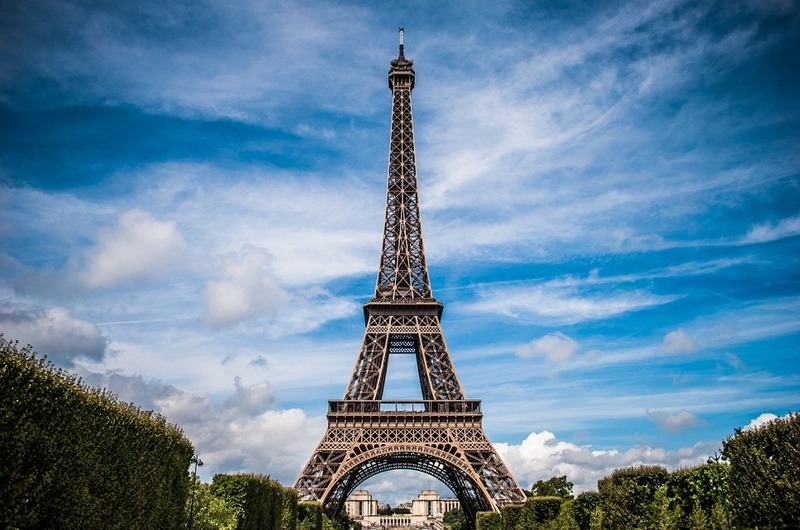 Relocating to France provides expats with a range of opportunities, particularly in the countries capital city, Paris, home of the iconic Eiffel Tower. Flag: Blue, white and red. The reason why most people move to France to set up home, is simply for a new start in life. 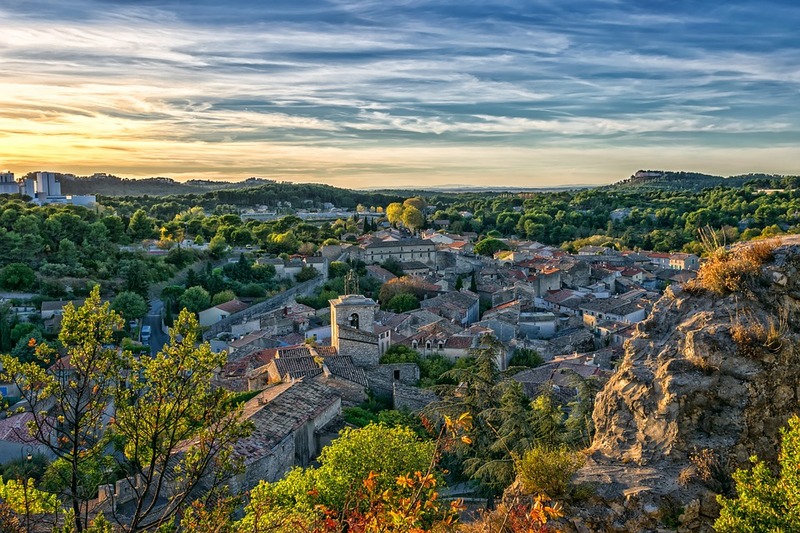 People can often feel claustrophobic if they are living in one place for too long and what better place to move to than France? Others might move to be with friends or family, after visiting them and getting a taste for French life and realising the importance of being with those closest to you. Maybe you aren’t moving to France for personal reasons, it could be solely for work purposes and if you’re lucky enough to get placed in France, you’re in for a treat. 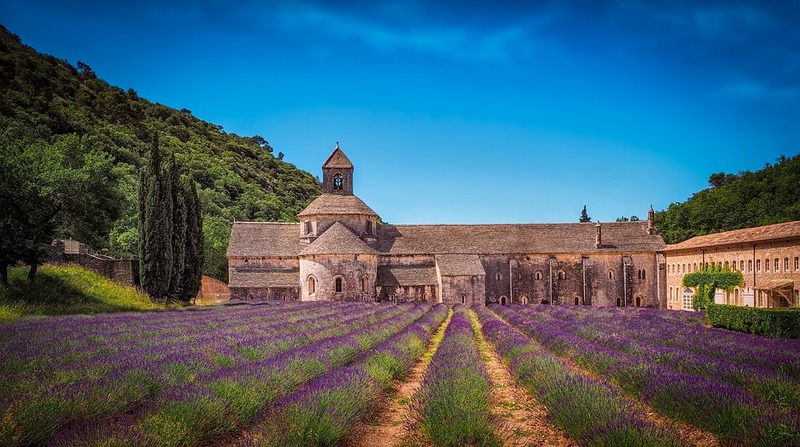 Whatever your circumstances, it all boils down to France being a great place to live because of the unbeatable opportunities and relaxed lifestyle offered there. When in France, you need to make yourself aware of the do’s and don’ts when it comes to eating and drinking. If you’re invited for a meal in France, the meal will not be served until all guests have arrived and are seated. Once all guests have arrived, make sure that the host has said ‘Bon appétit’ and takes their first bite of the meal before you tuck in. You will also need to use your table manners, keeping your hands on the table and not by your side whilst at the dinner table is seen as a sign of respect to the host. In France family and friends are seen as the most important things in ones life. In our busy day-to-day lives, we have everyday commitments that can mean time with friends and family can easily get pushed aside and often forgotten about. For this reason, Sunday is a day when shops are closed in France, but restaurants remain open so that people can spend time with those they are close to. When paying someone a visit or attending a dinner party in France, do bring a gift with you. Of course, any type of gift is extremely thoughtful, but do try to avoid bringing a gift of food or drink that is not French. This can offend French people, as they hold a lot of pride in the food and drink that originates from their own country. If you would prefer a safer option, such as flowers, do ask a French floweriest which flowers would be best suited for the event, as some flowers can be seen as bad luck. If you haven’t lived in France before, you might think that the common way of greeting one another in France is by sharing a ‘French kiss’. This is when one person greets another by kissing each cheek. Although this form of greeting is known worldwide, in France it should only be used for those who are greeting a family member or a close friend. When greeting a stranger or someone that you don’t know very well, a simple handshake is sufficient. In France, the woman usually puts her hand out first for a handshake, and standing instead of sitting when greeting is seen as more polite and respectful of the person you will be greeting. When relocating to France, you’ll have lot of things to take with you and so, you’ll need to use a method of transport that is reliable, affordable and best suited to your needs. There’s many different ways of transporting your belongings to France and it’s important that you know all of the options available to you. Airline baggage is often the first thing that pops into our heads when thinking how we will get our luggage abroad. It’s a fast way of getting your belongings to your new home, but it’s also extremely expensive. If you are considering transporting your luggage with your airline, it’s important to keep your airlines restrictive baggage weight allowances in mind, as you could be given an unpleasant surprise of excess baggage fees when you arrive at the check-in gate. If this happens, you have two options; you can pay the expensive fees or you can wave goodbye to some of your belongings, which is something that nobody want’s to do. Of course there will be belongings that you might not want to travel without and this is why most people who move to France check on one bag of important things, and use another method to get the rest of their belongings to France. Traditional removal companies specialise in shipping large household items by air or by sea freight. If you want to bring things like your sofa, your dining table or your bed, this might be a good option for you. However, it’s important to take the cost and time of this service into consideration. Using a removals company can be a timely process and in some cases, it can take up to two months for your belongings to arrive in France (depending on where you’re sending them from). The cost of this is also something that discourages people to bring large items that they own with them to France, as it’s simply too expensive, so do make yourself aware of these things before making any plans. A more cost-effective way to get your belongings to your new home in France, is by shipping your luggage with a luggage shipping company – Just like My Baggage! We understand that when relocating to France, you’ll experience a lot of stress and so, we have developed a service that can erase some of this stress from your relocation. When you book with us, you really haven’t got to do very much at all. Simply make a booking online, pack your suitcases and boxes, attach some labels to your them and we will take care of the rest! Speed and affordability is a top priority when it comes to transporting all of your worldly belongings to France and for this reason, we offer fast delivery within 3-5 working days and all at a low-cost. My Baggage is a low-cost and convenient luggage shipping company, offering door-to-door luggage shipping to over 200 countries worldwide, across 1,000+ routes. Our unrivalled service makes life that little bit easier for those who need to get belongings abroad. We like to make the process of travelling a little less stressful by getting our customers items where they need to go, as quickly and as efficiently as possible. My Baggage has been tried and trusted by many happy customers, all around the world. Here’s a few reasons why you should use My Baggage for relocating to France. Here at My Baggage, we know how expensive the process of relocating abroad is. For this reason, we like to keep our prices low and our customers happy! We also offer a price match, so if you get a better offer from another luggage shipping company, just let us know and we will try our very best to match it for you! All of our services are door-to-door, meaning you can do everything from the comfort of your own home. When you book with My Baggage, we collect your belongings at your door and deliver them to your new house in France, it’s really that simple! If you’re concerned about the whereabouts of your belongings at any point, you can take full advantage of our online tracking system, available in the ‘My account’ section of our website. We pride ourselves in having the best Customer Service Experts in the field. They know everything there is to know about shipping your luggage abroad. If you need any help or advice at anytime, simply get in touch and we’ll be happy to help! You can contact our team via phone, email and live chat. Shipping More Than Just Luggage? When relocating abroad, you will probably want to bring almost everything that you own. Although My Baggage are expert in shipping luggage abroad, that’s not all we ship. Have a look at what else you can send to France on our services, and if there is an item that you would like to ship that we have not mentioned, do get in touch and we will advise you on whether you can send it or not. France is home to many world-renowned ski resorts, hidden up in the snowy Alps. If you’re a keen skier, you might have your own skis at home that you’d like to bring with you to France. My Baggage can help you to easily transport your skis to France. This means that you don’t have to leave them back at home and spend a lot of money by renting equipment when you visit the ski resorts. Maybe you’re a musical ingenious with a talent that you want to hold on to, or maybe you just enjoy playing your musical instrument every now and then. Either way, I highly doubt you want to let go of it, or for anything to happen to it on the flight to France. Ship your musical instruments to your new home with My Baggage to minimise the potential risk of damage and to avoid having to pay unnecessary oversized baggage fees on arrival to the airport. Before taking the leap and moving to France, do analyse the city that you will be living in. It’s extremely important that you make yourself aware of just how safe the city is and what to expect when you are living there. Take time to research it in depth, this is a huge move for you to make and if you’re not completely prepared for it, it could all go horribly wrong. Check things like the crime rate in the area and the laws that you will have to follow. It’s also a good idea to have a strong understanding of the political and economic state of the country, so that you know what’s going on and what the general feel is about these matters. Prior to travelling, take note of all the emergency contacts that you will need and make sure these numbers are easily accessible, keeping them on your phone as well as in a notebook would be ideal. Also, make copies of all important information, so that if the worst really does happen, you then have a backup and can get things sorted quicker. Educating yourself in the French language is something that you should already be doing and if not, you need to add to your to-do list. We can sometimes get away with travelling abroad on a short holiday without knowing the local language, but when you are travelling to another country to live, it’s completely different and learning the language is somewhat a necessity. If you are a pet owner, you will need to research on what steps you need to take to ensure your furry friend can move to France with you. Start by checking the countries quarantine requirements and your pets documents and any vaccinations that they might need to get before the trip. Don’t forget that you’re not the only one moving abroad, your pet is too and therefore it’s important that you make the move as easy as possible for them. Prior to flying, you’ll be stressed and your days will be busy, but do try to keep to a daily routine for the sake of your pet, so that they don’t get too confused. On arrival to your new home, try to keep this up and make time to check in on them, ensuring they’re as comfortable as they can be with the move. You can book your shipment with My Baggage in just a few clicks of a button. Our booking process is available 24/7 and it’s super easy to use. Simply start your booking by obtaining a quote (below). Once you have made a booking, we will send you labels through email that you will need to print off and attach to your shipment. We will then send a driver to pick up your personal belongings and they will then be delivered straight to your new home in France. Yes, it really is that easy. If you would like to know the whereabouts of your belongings at any time, you can sign into your My Baggage account and use our online tracking system. Our team of experienced Customer Advisors are here to answer any questions you may have, so do get in touch! Fast services – Express options available on a number of routes. Dedicated customer support from our Customer Service Experts. When you send your belongings to your new home in France with My Baggage, you will need to ensure they are packaged correctly to ensure they reach your new home in France in a safe and timely manner. We recommend sending your belongings in suitcases or boxes, or indeed both. When sending your personal belongings in a box, please ensure it is a strong, double or triple-walled box. As packaging is not covered in our compensation cover, we advice against using fragile or expensive suitcases and previously used cardboard boxes. You should also tape over any handles to protect them from damage during transit. As you will probably be sending some fragile and delicate items with us, we recommend using internal packaging to protect them during transit. You can use materials such as bubble wrap or newspapers to cushion your items and minimise the chance of breakage. Here at My Baggage, we specialise in transporting personal effects all over the world. However, for safety reasons, there are some items that you cannot send on our services. This is standard with most luggage shipping companies. There’s also some items that we can send on our services for you, but they will not be covered by our compensation cover. This does not mean that you are unable to take these items with you to France, it simply means that you can bring them at your own risk. If you do decide to send items that are listed on our non-compensation items, you will do so at your own risk. We do recommend you to package these items appropriately. Find more information on how to package your items by reading our packaging guide above. When shipping to France from the UK or anywhere else in the Eu, goods do not pass through customs clearance and therefore are not subject to import tax or duty. If, however, you’re sending to Ireland from a country outside of the EU, such as Canada or the USA, you are then legally required to complete and send a customs invoice with your shipment. Whether you are simply sending personal effects or a gift to a loved one; if your shipment does not have a customs invoice attached, it will not make it past your local country border, and you may have to pay return charges to get it back. My Baggage will automatically provide you with the appropriate customs documents for you to print, sign and attach to your shipment when you send luggage to France from outside the EU. Generally, My Baggage shipments clear customs in a timely manner, free from duties and taxes, as most countries offer a generous duty-free allowance for personal effects. However, as customs processes and allowances are different around the world, and because My Baggage has no direct association with any customs authority; we do advise doing your own personal research into French customs regulations and quarantine before booking your shipment to France from outside of the EU. Please make yourself aware of potential customs duties in France and be sure to follow any advice provided by customs. Are you going to send your personal belongings to France with My Baggage? Simply click the box below to get a quick quote and start your booking. If you need help at any stage of the booking, don’t hesitate, just contact us! We have a team of customer service experts to help you with any questions you may have. You can reach us through e-mail, live chat or telephone.